On a recent vet visit I was told to keep an eye on my dog as there are a lot of new cases of lung worm, ticks and fleas about at late. Which got me thinking that although we cannot treat for lungworm? We can however treat for fleas. If you have bites on your legs and arms when you wake up and are unsure if you have fleas. A good way to find out if its fleas is to leave a shallow amount of water at the foot of your bed/couch, say in a saucer. Then place a light directly over it and leave it over night or for 24hrs. The fleas will try jump over or on the saucer, not see the water so will become trapped and drown. If you wake up the next morning to little black specks or what look like little black insects floating in the water. You have fleas. They can be a total nuisance. 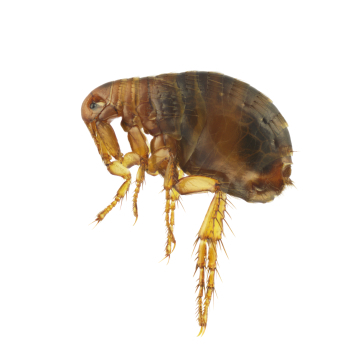 Fleas will often go unnoticed and are known as the invisible nuisance until, the temperature starts to change , either people are bitten or pets begin to suffer. When very hungry, fleas will jump onto people (not their preferred host) feed a little on blood, then leap off again to await a more suitable host(your family pet). usually responsible for serious reactions although subsequent ones may lead to hypersensitivity among some people. 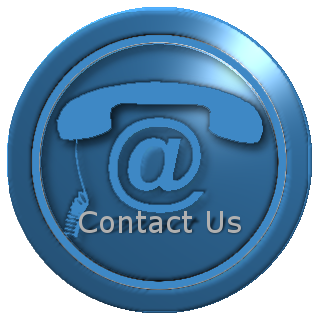 If you think you might have fleas you can contact us today on 01-4511795 or click here to contact us. A little about the pests. There are around 2500 different species of fleas described worldwide with another 500 awaiting classification. The predominant flea of modern homes in the Western World is Ctenocephalides felis – the cat flea – responsible for around 70% of all flea complaints. Other species include the dog flea, Ctenocephalides canis found on humans and pets, particularly in their bedding, and the human flea, Pulex irritans is also found on humans, in bedrooms and is capable of breeding on pigs, badgers, foxes and hedgehogs. The human flea is however rare. Others, that may be encountered include the rabbit, bird, hedgehog and mole fleas. Fleas vary from being light brown in colour to nearly black although most encountered in the work of a pest control operator are a reddish brown. They are flattened from side to side in appearance, allowing them to move easily through hair and fur and are covered in backward facing bristles. They have well developed muscles in the hind limbs and a unique skeletal structure which are special adaptations for jumping. 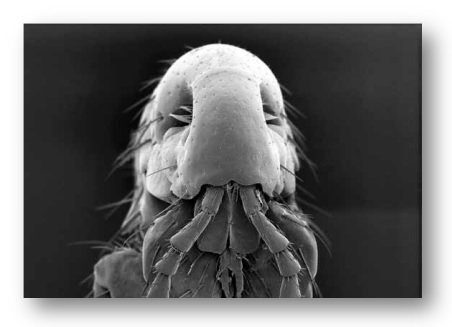 Fleas have no wings (although transitory wing buds may appear in pupae of some species), reduced or no compound eyes and piercing and sucking mouth parts. Adult fleas live as parasites on warm-blooded animals and although they show host preference they will feed on sources of blood in the absence of their normal host. Some flea species are unable to breed without the presence of the blood from their definitive host. A single female is capable of producing several hundred eggs in her life-span. The eggs hatch after about a week and the legless, white thread-like larvae feed on organic waste including undigested blood and excreta left by adults. The larvae are about 1.5mm long at this stage and are identified by their eyeless, brown head, biting jaws, 3 segmented thorax and 10 segmented abdomen covered in bristles, with peg-like protrusions on the final segment. The larvae become grey in colour as they grow and after about 2-3 weeks, having moulted twice, reach a length of 5mm. At this stage they begin to spin silken cocoons in which they pupate. These cocoons are tent shaped and incorporate dust particles etc which help to camouflage the pupa and also makes them difficult to penetrate with a water base insecticide. This is a major problem in unoccupied properties and the use of an oil based insecticide is recommended for these areas or the application of a desiccant dust along joints in floor boards or wood block floors. These turn brown as they mature to become adults and are capable of remaining dormant for 8 months until stimulated to emerge for a feed. It is known that fleas breed close to their hosts in dust, sweepings, dirt, cracks and crevices and general rubbish. The whole cycle from egg to adult takes about a month in summer, much longer at lower temperatures. When unoccupied properties need to be visited, workmen can be protected from bites by wearing overboots that have been treated with a repellent. Despite the natural misfortunes common to all creatures living under uncontrolled conditions, such as predators, parasites, diseases and extremes of temperature, fleas continue to be a pest and their control remains a necessity. Flea control is best directed at the free-living stages, when the flea is not on the host. 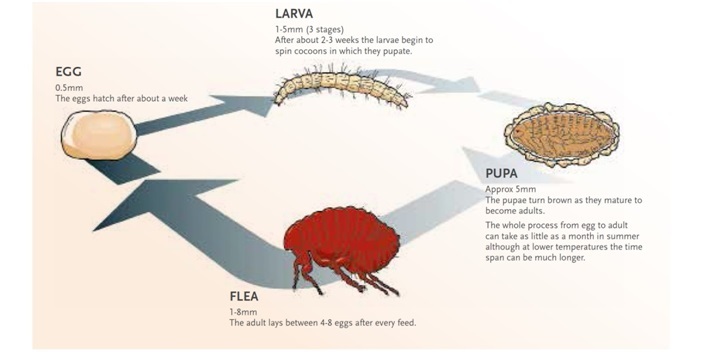 Effective control means halting the flea life cycle rather than just treating the adult flea. The correct flea control measures can only be decided once the level of infestation has been determined. In many cases, infestations (even of spotlessly clean homes) can usually be attributed to pets, who may well have picked up fleas from outside sources. Before any treatment can be done, floors and furniture must be thoroughly cleaned and vacuumed. 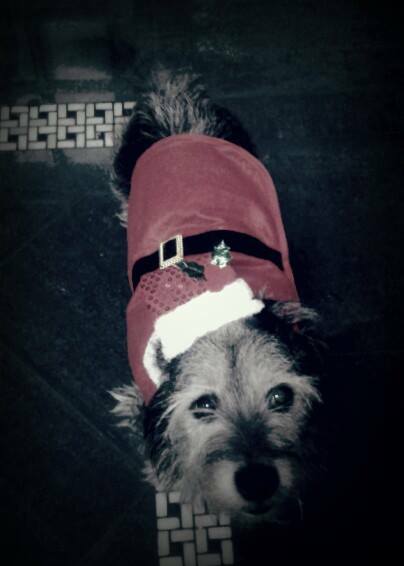 Particular attention should be given to pets’ bedding and places where pets frequent. Domestic pets should also be regularly treated with an appropriate veterinary product. Infested clothing, beds and bedding should be destroyed or thoroughly cleaned and accumulations of debris destroyed.